Today we’re using Field Roast Tomato Cayenne Chao Slices to make the creamiest queso of your dreams without the dairy … grab your hi-speed blender and let’s go! Grabbing its richness from coconut and subtle funk from fermented tofu, Field Roast Cayenne Chao goes into the blender along with butternut squash, raw cashews and nutritional yeast and blasted until smooth to create a wicked silky queso. Blend, heat and eat! We took it a step further here by grinding Field Roast’s Mexican Chipotle Sausages in food processor and crisping them up in a hot cast iron pan. Take a look! Add fresh cilantro and tortilla chips and get the party started! Place all of the queso ingredients except for the smoked paprika into a high-speed blender. Starting on low, blend all ingredients, slowly increasing the speed to high until smooth, using the tamper to help blend ingredients. Add in the smoked paprika and blend again. Transfer the mixture to a medium-sized saucepan and warm over low heat, stirring occasionally. This will help the cheese thicken slightly as it comes to a simmer. Once lightly simmering, lower to low and cook for an additional 5 minutes and serve hot. Place the chopped Field Roast Sausages into a food processor and pulse until finely ground.. Warm a large cast iron pan over medium-high heat and add the oil. Add the onions and saute over medium heat until slightly softened and golden. Add in the ground sausage and saute for several minutes more, allowing the crumble to crisp up. Remove from heat. 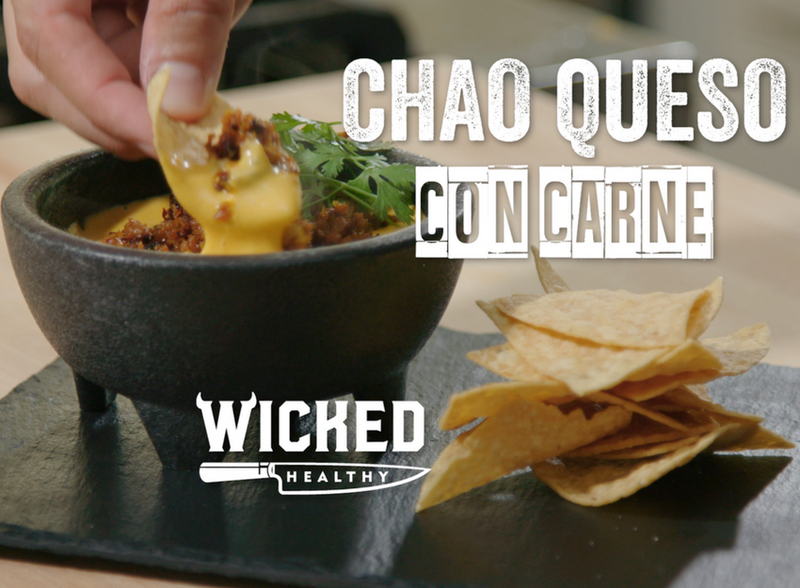 Place the warmed queso into a bowl, topping with the ground Field Roast Sausage, fresh cilantro and tortilla chips. Serve immediately on anything and everything.